When it came to athletics, Wendell Redden was “absolutely devoted” to Missouri Southern. “All of the teams, the athletes, the coaches and even a lot of the professors … he knew them and followed them his entire career,” says Susan Redden of her late husband, who began his career in sports journalism as a high-school student in 1950. 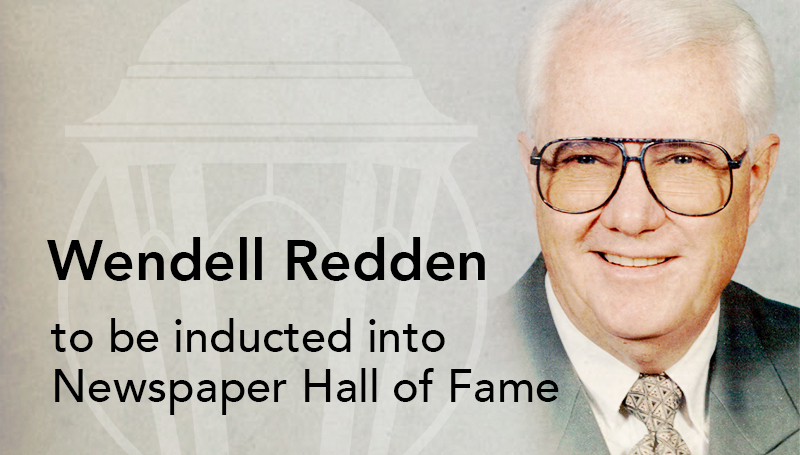 Redden, who passed away in 2011, is set to be inducted posthumously into the Missouri Press Association’s Newspaper Hall of Fame during the MPA’s 152nd annual convention on Friday, Sept. 14, in St. Louis. As the longtime sports editor for The Joplin Globe, Redden was a champion for treating coverage of high-school and women’s athletics in the same way men’s were covered. “Wendell had such a sense of fairness … he was one of the most fair people I have ever known,” says Susan Redden. “He believed if you were a good athlete, you deserved recognition regardless of gender or color. That pre-dated Title IX. After retiring from the Globe in 1996, he began working for Missouri Southern’s Sports Information Department, assisting in the production of several award-winning football and basketball press guides. He also announced baseball games for the Lions at Joe Becker Stadium. “He formed a lot of bonds at Missouri Southern and was really proud to be able to work there,” says Susan Redden. Three others will also be inducted into the Newspaper Hall of Fame – Kent Ford, former editor for the Missouri Press Association and a former newspaper publisher; Joe May, former publisher of the Mexico Ledger and former MPA president; and Jim Robertson, former managing editor of the Columbia Daily Tribune and former MPA president.